I bought a ticket and sat down with a bucket of popcorn and a large Coke to watch James Cameron’s ‘Avatar’ tonight. Three quarters of the way through the movie I walked out in order to avoid ruining the experience for the rest of the moviegoers. The 3D film is as visually stunning as it has been described; I’ve never been so close-up to Sigourney Weaver (and I never want to be again). In the midst of a scene where ash is drifting on an air current I found myself reaching out to touch it, to my wife’s amusement. It became apparent early in the movie where allegiance lay with Weaver’s character’s disdainful treatment of a combat paralyzed U.S. Marine whom she is forced to accept as a team member. Cameron then wastes no time establishing cartoon-ish villains in Stephen Lang as a Marine Colonel and Giovanni Ribisi as the mid-level stooge of a soulless mining corporation. As the conflict over the fate of the indigenous people who populate this world develops between the peaceful scientists and the military/industrial complex, Sam Worthington’s paralyzed Marine must choose sides. He is offered medical care to restore the use of his legs (indicating that this was an option… had the military cared to do so). In exchange, he must convince the indigenous inhabitants to abandon their ancestral home or provide intelligence as to how they can be wiped out. But, in the course of doing his job, Worthington’s character learns to appreciate the natives and begins a cliche’ love affair with the chief’s daughter. Once the battle lines are drawn, Avatar pits women, hippies, minorities and the disabled as the forces of good against the white male representatives of capitalism and military power. It’s not that this depiction of American military or corporate power is a new Hollywood formula, it’s just that I haven’t been preached to with such a lack of subtlety since ‘Fern Gully’. I walked out of this movie when the characters were on the cusp of the final battle. I had suffered through being beat around the ears with the anti-capitalist eco-sermon for nearly two hours. I finally had enough when the Marine Colonel referred to the indigenous inhabitants as “terrorists” and vowed to unleash “shock and awe”. By this time, fed up with the propaganda, I had already uttered an audible “what?” I had to make my way to the door before the indignant diatribe bubbled all the way to the surface and I became disruptive. In the face of criticism of President Obama’s response to the Christmas Day Underpants Bomber, the White House is looking for a way, any means to blame Bush; all while complaining that others are playing the blame game instead of ‘condemning the attackers’. 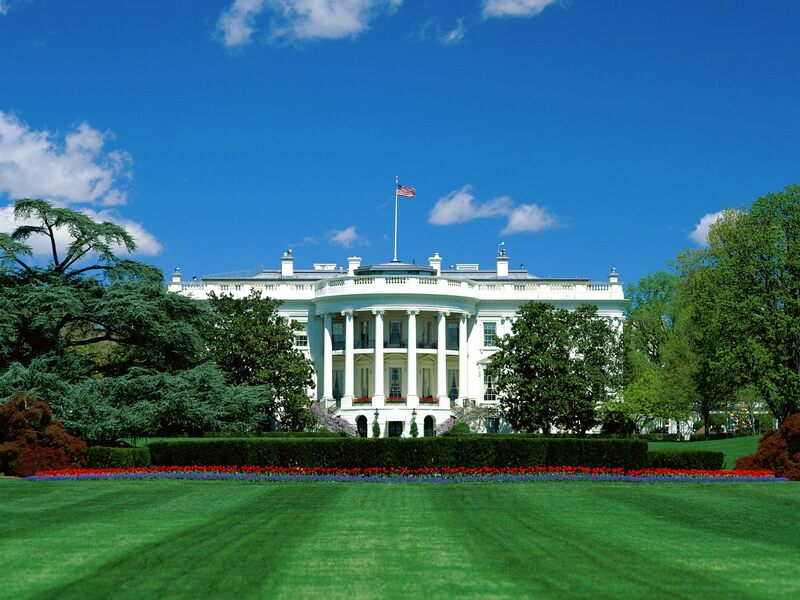 Of course we condemn the attackers, Mr. President… we’re just wondering why it took you so long to do it. The Other McCain has more, including links to the AmSpec piece. Right-wing wacko, wing-nut, right-wing extremist… teabagger. I’ve always taken the epithets slung wantonly by the left with a chuckle and a grain of “is that the best you’ve got?” But tonight I ran across a post by Be John Galt that gave me pause. 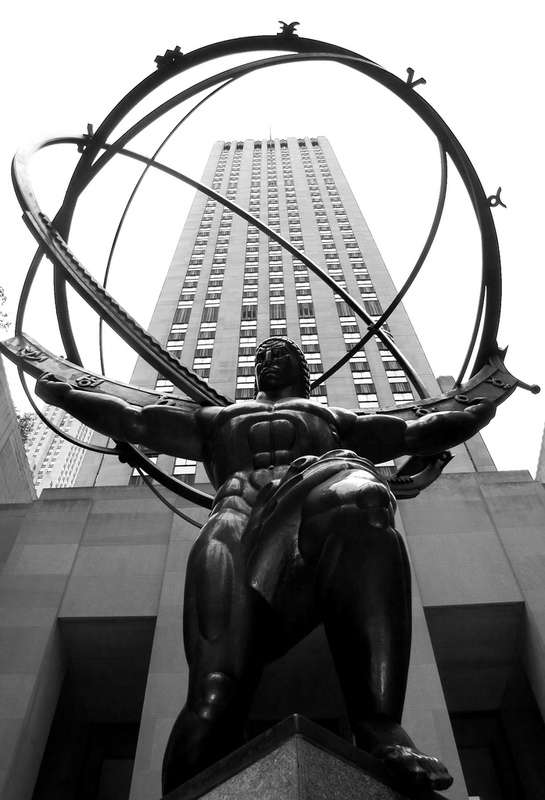 It reminded me of a phrase from Atlas Shrugged, the book that was the genesis of the fictional John Galt. Uttered by Fransisco, the phrase was: words have an exact meaning. This is not the first time Obama, this White House or his liberal supporters used the word extremist. If you attended a Town Hall last summer, if you have attended a Tea Party event, if you oppose Obama’s health care ideas… you are an extremist. Does your president equate you with plane-bombing terrorists? Words have an exact meaning. “Let’s not kid ourselves: the Obama illusion has finished, and the shameless interventionism of the American administration shows that,” wrote Chavez. Having opposed the Copenhagen climate change summit’s final agreement as a behind-doors deal between major powers that ignored nations on the margins, Chavez said rich nations were making a mockery of U.N. principles of equality. “Those leaving us on the verge of an unimaginable ‘ecocide,’ those who caused climate change, should be forced to accept their responsibilities,” he said. Given that Venezuela is South America’s largest exporter of oil, the likelihood that Chavez is sincere about climate change and ‘ecocide’ is slim. It is much more likely that Chavez is goading our Appeaser-in-Chief for his own ends, whether that be his own aggrandizement or just defining the playing field. It’s not hard to see why Chavez is disappointed with Copenhagen. He had expected welfare on a global scale, something he desperately needs as the drop in the price of oil has left his nationalized petroleum industry unable to fund his socialist programs. 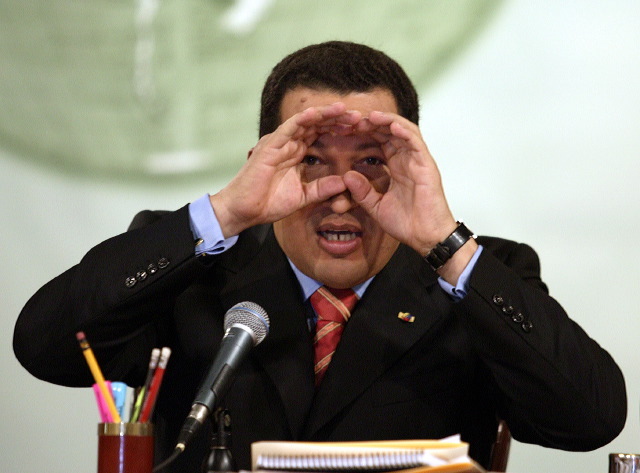 With Venezuelan legislative elections in 2010 and a presidential election in 2012, Chavez needs his social programs to continue buying the votes of the poor in Venezuela. With infrastructure problems beginning to cause reliability issues with both water and power, Hugo’s plan to become ‘Socialist Dictator for Life’ is threatened. 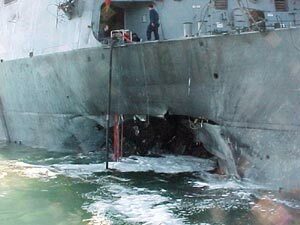 Two of the four alleged leaders of the Northwest Airlines bombing attempt on Christmas Day were released from Guantanamo Bay last November. Al Qaeda has claimed credit for the December 25th terror attack on Northwest Airlines flight 253. The jihadists were transferred to an “art therapy” program in Saudi Arabia for “rehabilitation” and subsequently released by the Saudi’s. Bob Gates has been pushing since May to transfer 97 Yemeni detainees to the Saudi rehab program; as of 10 days ago the plan was to send six Yemenis back to Yemen itself with possibly scores more to follow. Any reason to worry about that? Yep: Yemen is notorious for jihadi jailbreaks, from mass escapes like the one in 2006 where 23 AQ operatives went loose to the U.S.S. Cole bomber who broke out of prison twice until finally — I kid you not — Yemen simply let him go after he gave them his solemn word that he’d cool it with the jihadism. Yemen, the site of the U.S.S. Cole bombing in 2000, has taken focus in recent days as the U.S. is coordinating air strikes with the Yemeni government against terrorist targets in that country. Senator Joe Lieberman (I-Conn) has advocated “preemptive” action, calling Yemen “tomorrow’s war” and garnering the ire of liberal bloggers. 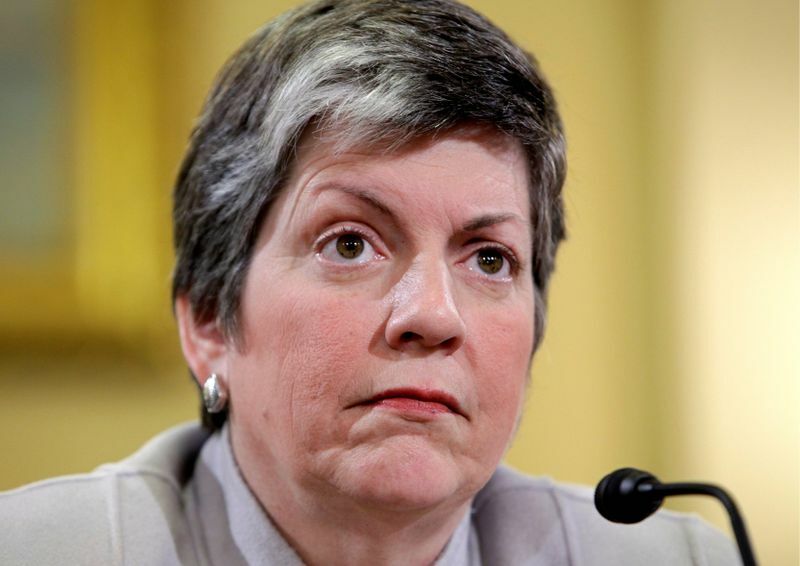 Department of Homeland Security Secretary Janet Napolitano needs a glass bellybutton. That way she can see where she’s going even with her head planted, apparently, in her posterior. So… make a statement and then question your own conclusion? And, how exactly is a terrorist successfully smuggling explosives aboard an international flight an example of the system working? The only thing that saved the day in this incident was the fact that the detonator malfunctioned. The two men, convicted of bank robbery, were later recaptured and executed. Two of the rescuers/protesters were killed in the clash with Iranian security forces. Iran claims that the protesters opened fire on the security forces. Watch the video for yourself… I don’t see any armed citizens. This is the regime to which John Kerry wants to pay a visit in order to mend fences. Many opponents of Tehran’s regime oppose such a visit, fearing it would lend legitimacy to President Mahmoud Ahmadinejad at a time when his government is under continuing pressure from protests and opposition figures. Hundreds of thousands of demonstrators took to the streets again this week to voice their opposition to the government following the death of a reformist cleric. “The wrong message would be sent to the Iranian people by such a high-level visit: The U.S. loves dictatorial regimes,” said Hossein Askari, a professor at George Washington University and former adviser to Iranian governments. The White House’s statement? Nothing… Obama’s on vacation. Hot Air: The best option we have in dealing with the Iranian nuclear and terrorist threats is regime change. Replacing the radical mullahs with almost anything else would improve the situation, and a popular uprising that replaced the theocracy with a secular republic like Turkey would be the best outcome. Instead, Obama seems intent on regime strengthening. We should be encouraging the democratic activists in Iran not just for the sake of democracy but also to relieve two of the greatest threats to regional stability. I don’t believe for a minute that Obama is the “babe in the woods” that his opponents claimed during the campaign he would be. I think he knows exactly what he’s doing. According to the Dems, Cap And Trade and “Green Jobs” were to have been good for the economy. But with health care taking up so much of the Senate’s floor time, Cap And Trade legislation would be pushed dangerously close to the 2010 elections. As a result, Democrats have begun to demur on “Cap and Tax”. So, what we can learn from these statements is that, for the Democrats, Cap And Trade is critical, absolutely critical to slowing the imminent danger of anthropogenic global warming (AGW)… but it’s less critical when it’s an election year and the possibility exists that the public will see through our “good for the economy” lie. Cap-and-trade is dead, at least for 2010, unless the Cultural Ministers for Corruption Nancy Pelosi and Harry Reid can find more ways to bribe Democratic Senators into committing career suicide. I wouldn’t necessarily dismiss that possibility. What remains critical, for those of us who are not lying buffoons, is the removal as many of these power-seeking AGW alarmists as possible in 2010 before they can pick this legislation back up.